Always try to preserve your staircase, rather than replace it. It may just need a clean up or the timber may just need staining or painting. Period properties in particular will often need restoring or repairing. Look out for signs of beetle infestation or signs of rotting as if this is left for a long period it can weaken the timber. A blacksmith or stonemason may be needed with those that are made of metal stone if repairs need to be made. Staircases are a vital part of the home, as well as being having functional purposes; staircases can transform and establish the style and feel of your home. The staircase can be elegant as well as being a feature that exudes character and charm. Georgian staircases were often made of mahogany or oak and commonly had a strong handrail with wooden balusters intricately carved. However, painted pine staircases can be found in some houses. During the end of the Georgian period, Iron balusters became considerably more popular. If a new staircase needs to be installed, always think carefully about the location. as if it is not positioned correctly, the staircase can waste space. A good place is the central hallway as it is the link to the main rooms. If you have a period home, it is important that the design and materials apply to the relevant period of the property. 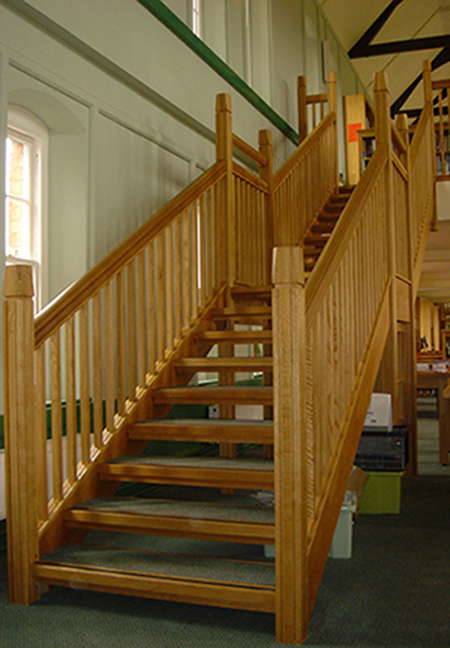 "Add a grand asset to your home by installing a bespoke staircase"
Fine hardwoods were often left bare but sometimes wax or resin varnish was used. Softwood was popular in the eighteenth century and was often painted or stained to look like hardwood. Oil based lead paint and grey/blue colours were popular in the Georgian era and the soft sheen would resemble today's eggshell paint, instead of gloss. 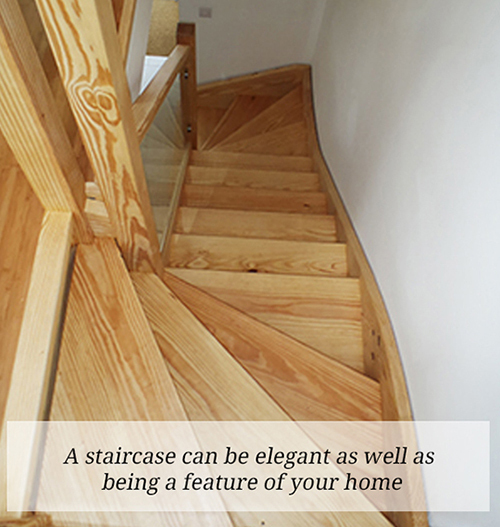 Read more about choosing the right material for your staircase by clicking here. 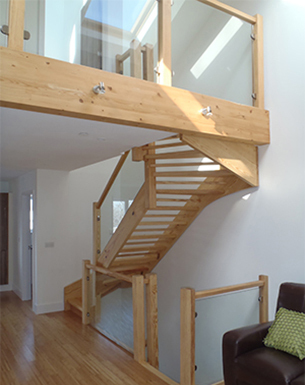 To speak to an experienced Devon joiner specialising in staircase design and installation, get in touch with one of our chosen specialists. Dog Leg Flight: Two straight runs of steps connected to a half landing with a 180 degree turn. Space saver flight: A steep staircase with alternating treads and risers.